of musical genres as varied as jazz standards: the Girl from Ipanema , Black Orpheus; light rock: Wild Horses, Garden Party; to bluegrass standards such as Foggy Mountain Breakdown, t Wabash Cannonball. 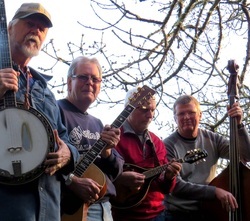 Bill Jenson -Banjo, Mike Sampson -Guitar, John Hewson - Mandolin/guitar, Sam Quint - upright bass. 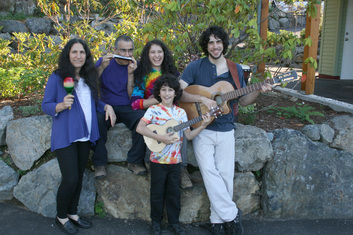 All members contribute on vocals and the group enjoys performing for audiences of all ages.